Del Norte Kennels is a well-established Dog Boarding Kennel and Cattery situated in scenic lower Lantzville. 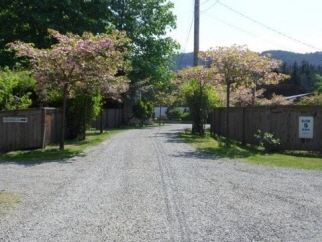 Ideally located on 1 acre and within minutes of Nanaimo this property offers a quiet and peaceful countryside setting and is but a few minutes walk to the ocean. The unique zoning allows for a multitude of opportunities for growth such as veterinary clinic, animal hospital or breeding facility. Established in 1984, the year-round Kennel has been designed to provide the utmost of comfort to their guest and offer features such as heated floors, covered runs, play yards for dogs, grooming studio and separate accommodations for cats including individual cat condo’s. This is a one of a kind opportunity! All information should be verified if fundamental to purchase.